A Boral "Axle Back" or rear section exhaust implies the exhaust system is located behind the vehicle rear axle . Most installations are completed in less than an hour and require no cutting of the factory system. A Boral Axle Back performance exhaust is a less restrictive aftermarket exhaust system that will improve the sound level both inside the cabin and exterior. 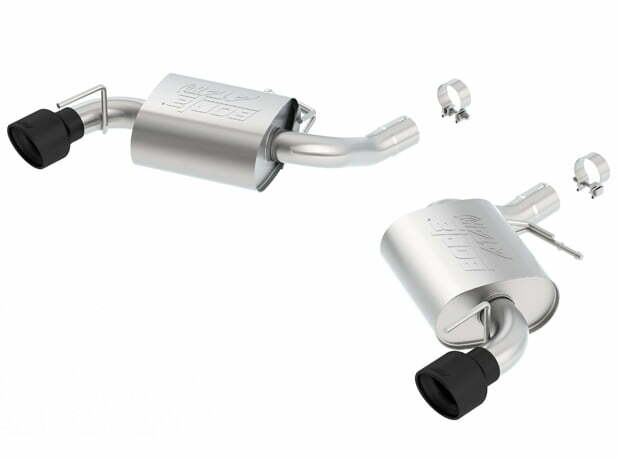 Boral Axle Back exhaust systems use engine-specific (not universal) mufflers that are designed, tested, and optimized specifically for a particular year/make/model vehicle.